This entry was posted in candle making supplies, Fragrance Oils, Natures Garden, Uncategorized and tagged best candle fragrance oils, best fragrance oils for candles, best scented candles in the world, Black Cherry BOMB Fragrance Oil, Black Raspberry Vanilla Fragrance Oil, Blueberry Muffin Fragrance Oil, candle fragrance oils recipes, candle fragrance oils wholesale, candle making, candle scents oil, Cinnamon Sticks Fragrance Oil, country bumpkin fragrance oil, diy coffee candle, diy food scented candles, diy strong candles, diy strong scented candles, diy strong smelling candles, fragrance concentrate for candles, fragrance oil manufactures, fragrance oils, fragrance oils for candle making, fragrance oils for candles, fragrance oils for candles wholesale, fragrance oils for soy candles, fragrance oils wholesale distributors, fragrances, fresh brewed coffee fragrance oil, Fresh Cut Roses Fragrance Oil, Fruity Rings Fragrance Oil, highly concentrated fragrance oil, homemade candle scents, honeysuckle fragrance oil, how to get a strong scent throw in soy candles, how to make candles from scratch, how to make food candles, how to make good smelling candles, how to make high quality candles, how to make scented candles from scratch, lilac fragrance oil, liquid fragrance oils, make strong scented candles, mango papaya fragrance oil, natures garden, NG Clean Breeze Type Fragrance Oil, NG Loving Spell Fragrance Oil, ng vanilla lavender type fragrance oil, ocean mist fragrance oil, patchouli fragrance oil, Peppermint Patty Fragrance Oil, Pomegranate Fragrance Oil, scented candles that actually work, scents, scents for candles, soy candle fragrance oils, strong fragrance oils, wholesale fragrance oils in bulk on June 2, 2017 by Deborah Ward. I’d say that we at Natures Garden know candles pretty well. That’s why we realize many of the frustrations of finding the right fragrances for room scenting. While it is not too difficult to find a great fragrance with a that you enjoy, sometimes you just want a fragrance that is stronger than the garden variety fragrance oil. It’s just a fact of life that some fragrance oils are better suited for certain products and crafts. So, we decided to share some love with our candle making customers by compiling a list of some of the Best Fragrance Oils for Candles. These scents are some of the exceptional aromas for candle making. In fact, some of these scents will be so strong that you won’t be able to believe it! So, take a chance on the scents that you like best and see just how much better our strongest scents can perform in candles! Tropical room scents often make for wonderful room scents. 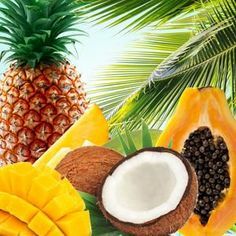 So, this tropical delight will really shine as a candle scent, as it has a very strong, long lasting scent. 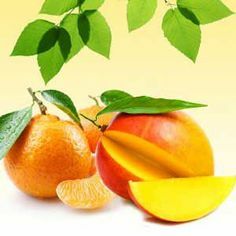 The Mango Papaya Fragrance Oil is a yummy tropical fruit scent with a blend of freshly ripened mango and juicy papaya. 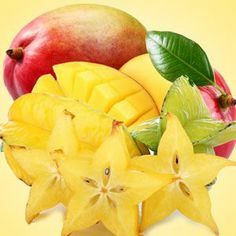 Further, this happy fruit scent would be perfect for adding a bright scent to a room or maybe even a few rooms at once. We recommend using three drops orange liquid candle dye or a small amount of shredded orange color block per four pounds of wax for this tropical room scent. We all like our room scents to be strong enough to smell up our house, right? Well, this scent will absolutely deliver! The Black Cherry BOMB Fragrance Oil is an amazingly strong scent of a delightful black cherry aroma that is not too sickening sweet. So, anyone looking for a nice fruit scent for their candle creations has come to the right place! This scent is strong and yummy enough to delight even the pickiest candle makers. We suggest a dark cherry hue from six drops of burgundy plus a drop of black liquid candle dye per four pounds of wax or shred an ample amount of a burgundy and black color blocks into your melted wax. Coffee lovers beware, this is going to be a scent you will not get over soon. The Fresh Brewed Coffee – Worlds Best Fragrance Oil is a carefully formulated scent that smells just like real coffee with heavy base notes of chocolate. Further, this scent has wonderful effervescent coffee top notes, and incredible scent throw! This fragrance is so strong; you will want to cut back on the amount you use in your applications. While concentrated in the bottle it may smell odd, as it is too strong. However, this fragrance oil is the perfect coffee aroma for candles that is true and strong! We think this scent should be used in a dark brown candle with five drops brown liquid candle dye or a small amount of shredded brown color block per four pounds of wax. Lovers of spice scents are really in for a treat with this next fragrance oil! The true to life Cinnamon Sticks Fragrance Oil, naturally, has the aroma of freshly ground cinnamon bark. The only thing we can think of with a more true cinnamon scent is actual, fresh cinnamon. However, we think our scent would be a really close second. Obviously, this fragrance oil would be perfect for creating homemade spice candles that are sure to impress! We recommend using three drops brown plus one drop red liquid candle dye per four pounds of wax or shred a small amount of brown and red color block into your melted wax. Speaking from experience, there is nothing then the fragrant aroma of a fresh lilac bush wafting through your home. While you could buy your own floral plant, the Lilac Fragrance Oil is the next best thing. This scent is nothing but the true aroma of a freshly blooming lilac bush. Plus, the scent is strong and perfect for creating candles that really go the distance. Thus, this floral fragrance oil is a perfect choice for home scenting. We suggest that you use two drops purple plus a tiny bit of red liquid candle dye or a small amount of shredded purple and red color block per four pounds of wax. There is nothing better than a delicious food scent in a homemade candle and this tasty fragrance really sets the bar! Our Blueberry Muffin Fragrance Oil has a strong aroma of freshly baked muffins of the, you guessed it, blueberry variety. The fragrance has some top notes of juicy tart blueberries with orange zests, middle notes of butter cake, and base notes of vanilla and almond. Further, this scent is actually one of the strongest fragrance oils that we carry! Talk about a great candle scent! This candle should be a dark blue from six drops of blue plus one drop black liquid candle dye per four pounds of wax or shred an ample amount of a blue and black color block into your melted wax. 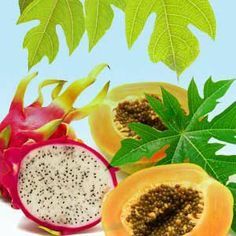 Further, we have another wonderful fruit scent that would be perfect as a room scent. The Pomegranate Fragrance Oil is a perfect for providing a bright, sweet candle aroma. Plus, this fragrance oil contains purely the wonderful aroma of freshly sliced pomegranate. So, pomegranate lovers or anyone that is looking for a strong, fruit scent that really lasts should try this scent out in their candle recipes. We suggest using four drops red plus one drop burgundy liquid candle dye or a small amount of shredded red and burgundy color blocks per four pounds of wax. Lavender and vanilla are both well known and enjoyed scents. Plus, these two aroma work very nicely together. The NG Vanilla & Lavender Type Fragrance Oil is a relaxing and tranquil, but don’t let that fool you as it is a perfect candle scent! This unique scent is a memorable blend of fresh lavender, fresh vanilla beans, with orange zests and patchouli. This scent is strong enough to be a great candle, yet remains a tranquil scent by the nature of its ingredients. We recommend creating a light purple from one drop of purple liquid candle dye or a small amount of shredded purple color block per 4 pounds of wax. Any fans of sweet scents will go crazy for this fragrance oil! This Fruity Rings Fragrance Oil smells just like a freshly poured bowl of the well loved, sugary breakfast cereal. Plus, this scent is very, very strong! This aroma of lemon rinds, lime, and grapefruit; middle notes of lemongrass, lily, and verbena; and base notes of vanilla sugar creates the perfect combination that I simply can not get enough of. This scent is perfect for creating irresistibly delicious scented candles! 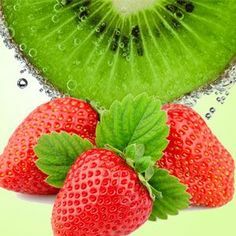 This fruity scent should be colored with two drops red liquid candle dye or a small amount of shredded red color block per four pounds of wax. Some natural candles deserve a scent that fits its ingredients. So, we have a perfect fragrance oil for any candle makers that enjoy earthy notes and more natural smelling scents. The Patchouli Fragrance oil is strong, long lasting and perfect for candles. The aroma is exactly an earthy aroma of true herbal patchouli. Thus, this scent will be well loved by those that enjoy earthy scents, such as patchouli, as it is strong enough to fill a home. We recommend using two drops brown and three drops orange liquid candle dye or a small amount of shredded brown and orange color blocks per four pounds of wax. Floral scents can be used to create some lovely scented candles, but not all fragrances are created equal. This floral scent is strong enough to make the list of candles scents and smells absolutely divine. Our Fresh Cut Roses Fragrance Oil is the truest possible rose scent available on the market! It was difficult to discover, but after all that time we knew when we hit the winner. This scent has captured the gorgeous aroma perfectly and is not easily duplicated. We suggest using two drops red liquid candle dye or a small amount of shredded red color block per 4 pounds of wax for this scented candle. Those looking for a cool musk fragrance oil for candle making just came to the right place. The Ocean Mist Fragrance Oil is a very strong, aquatic scent that performs perfectly in candle waxes. This scent is a complex bouquet of carnations, lily of the valley, and hyacinth; underlined by oakmoss and white musk. So, if you enjoy the sound of this scent and would like to create candles, try it out. This fragrance oil is sure to perform exactly as you’d expect the best fragrance to perform, which is amazingly! This cool scent is perfect for a candle colored with three drops blue plus one drop green liquid candle dye or a small amount of shredded blue and green color blocks per four pounds of wax. This scent is absolutely delicious, just like a real peppermint patty! The scent of our Peppermint Patty Fragrance Oil is of creamy peppermint and vanilla with a strong down of bitter sweet chocolate. So, candles that use this strong scent will have both the scent of decadent chocolate and the cool aroma of fresh mint. Overall, this scent would create amazingly delicious food scented candles. Appropriately, this scented candle should be colored like chocolate. So, use five drops of the brown liquid candle dye or a small amount of shredded brown color block per 4 pounds of wax. Also, you can try out a scent that is irresistibly sweet and delicious. The Black Raspberry & Vanilla Fragrance Oil is a scent that has an enticing blend of blackberries and raspberries, with middle notes of white floral greenery, and bottom notes of musk and vanilla. Not only is this scent delicious, but the fragrance is quite strong and lingers as well. So, this would be perfect for creating some deliciously scented candles that are sure to get some appreciation. This sweet scent deserves something fun, so we chose to make the candle purple. Add six drops of purple liquid candle dye per four pounds of wax or shred a small amount of a purple color block into your melted wax. Another great spice scent is the fantastic blend of our Country Bumpkin Fragrance Oil. This scent is a perfect blend of sweet notes and strong spices to create an amazing scent for the home. This aroma is a blend of apples, candied yams, marshmallows, sweet cream butter, brown sugar, nutmeg, crushed cinnamon bark and fresh cloves. Create your own scented candles with this fragrance oil and bring the country home to you! A perfect color for this serene scent would be a lovely golden brown. So, use four drops of orange plus one drop of brown liquid candle dye per four pounds of wax or shred a small amount of an orange and brown color block into your melted wax. Another lovely floral scent is the Natures Garden Honeysuckle Fragrance Oil. This floral is a perfect scent for spring. The aroma is a perfect dupe of a blooming honeysuckle bush. This fragrance oil has a scent of fresh ozonic honeysuckle blend with hints of jasmine, rose, and lilac, which makes a scent that is both lovely and strong for scented candles. Thus, those that enjoy floral candles should definitely try out this fragrance oil in their own creations. There is no way you would want to miss a scent this perfect for scented candles. To achieve a perfect honeysuckle color for these candles, you should use either one drop of yellow liquid candle dye per four pounds of wax or shred a small amount of a yellow color block into your melted wax. Nobody can deny that clean aromas are perfect for creating room scents for the home. Not only does this make your home feel cleaner, but the scent is relaxing and lovely. Our NG Clean Breeze Type Fragrance Oil is the perfect clean laundry scent. While the scent is strong and clean, the aroma carries a fruity floral blend of peach, watermelon, neroli and jasmine on a dry down of aquatic notes and musk. Thus, this scent is a strong aroma that smells clean, fresh, and happy. For this scent. we recommend coloring candles with either three drops green and one drop blue liquid candle dye or a small amount of shredded blue and green color block per four pounds of wax. 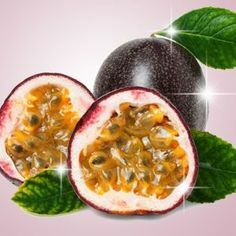 Another kind of fruit scent that would be wonderful for creating candles would be the NG Loving Spell Fragrance Oil. This scent is blend of citrus scents that create a sweet, clean aroma. 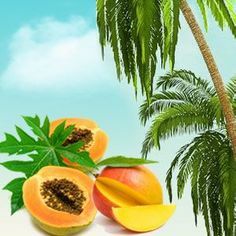 The fragrance oil is composed of sweet bouquet of mandarin orange, bergamot, and tangerine enhanced by hints of fresh peaches, strawberries, and raspberries on an undertone of white musk. Further, this scent is strong enough to create a perfectly wonderful and complex scented candle. Those that may be looking for a color suggestion for this scent can try out our own coloring scheme. We chose an orange hue as this scent is largely citrus, like oranges. So, we would use four drops orange liquid candle dye or a small amount of shredded orange color block per four pounds of wax. If you enjoyed these fragrance oils, then you can check out even more of our strongest fragrances by going to our Top Candle Scents category on the Natures Garden website. This entry was posted in floral notes, Floral Scents, fragrance oil spotlight, Fragrance Oils, Natures Garden and tagged best candle fragrance oils, best floral fragrance, Best Floral Fragrance Oils, best soft floral fragrances, candle fragrance oils wholesale, candle scents list, cold process soaps, cp soap, Delicate Laundry Soap Recipe, Easter Confetti Soap Recipe, Fairy Dust Fizzy Bath Recipe, floral fragrance oils, floral fragrances, floral good scents, floral scented soaps, floral scents, floral scents for candle making, floral scents perfume, florals that don't accelerate, florals without acceleration, flower child fragrance oil, fragrance oil, fragrance oils, fragrances, freesia fragrance oil, Fresh Bamboo Fragrance Oil, Fresh Cut Roses Fragrance Oil, FUN Swirl Soap Recipe, gardenia fragrance oil, honeysuckle fragrance oil, how to layer soap, how to make rose lotion at home, Japanese Cherry Blossom Fragrance Oil, Juicee Couture Fragrance Oil, Kauai Spa Fragrance Oil, Lavender Sage Bath Bomb Recipe, lavender sage fragrance oil, layered melt and pour soap recipe, layered soap recipe, lilac fragrance oil, lotion recipes, magnolia fragrance oil, melt and pour soap recipes, natures garden, NG Blue Hydrangea Type Fragrance Oil, NG Fairy Dust Type Fragrance Oil, ng vanilla lavender type fragrance oil, orange blossom fragrance oil, peony fragrance oil, Pink Orchid & Amber Fragrance Oil, Potted Sunflower Soap Recipe, Princess Type Fragrance Oil, Rainbow Candle Recipe, rainbow fragrance oil, rose body lotion, rose lotion recipe, rose milk bath recipe, rose petal lotion recipe, rose water lotion recipe, scenting soap, scents for candles, scents for home, scents for spring, scents that dont accelerate, Spring Smell Jelly Recipe, Sunflower Type Fragrance Oil, sweet pea fragrance oil, victorian Rose fragrance oil, violet fragrance oil, white flower scented candle, white gardenia fragrance oil, Wisteria Fragrance Oil on May 10, 2017 by Deborah Ward. Check out this list of some of the best floral fragrance oils available at Natures Garden. Since we carry such a wide selection of floral scents, it was quite difficult to choose a select few of top picks. We got a little bit of everybody’s favorites along with some of our favorites that you may have not yet discovered. So, check out our select list of floral scents and see what you think! This earthy fragrance oil by Natures Garden is a fully herbal and natural aroma. The scent has truly herbal patchouli notes that mix wonderfully with the sandalwood aroma. This is a perfect floral for those that enjoy herbal scents. Plus, this scent is an NG Original Fragrance! This fragrance works perfectly in cold process soap! Adding this scent to a soap recipe doesn’t lead to any issues in the batter, such as acceleration or ricing. Plus, the soap experiences no discoloration at all. The fragrance is retained well and is a perfect scent for natural soaps. See for yourself in our cold process soap making video! Not only is this fragrance oil great in cold process soap, but this scent is wonderful in melt and pour soaps too! The FUN Swirl Soap Recipe combines the herbal aroma of this Flower Child Fragrance Oil with a fun melt and pour soap design to create a perfect recipe. Homemade candle makers will love Flower Child fragrance oil. It is floral, earthy, and all around great for room scenting. So, you can use our ideas for coloring a candle of this scent. We suggest using three drops of purple liquid candle dye with three drops of blue liquid candle dye. Alternatively, you could use a small amount of purple and blue color blocks per four pounds of wax used. This fragrance oil is a pleasant aroma created by Natures Garden. It is a scent that stays true to its namesake and very strong. If you enjoy the aroma of fresh freesia flowers, then this is the perfect scent for you! Try it out and see for yourself how lovely is aroma truly is. Not only is this scent a lovely floral, but it works wonderfully in cold process soaps, check out our CP soap testing video for yourself! There is no acceleration, no ricing, and no discoloration. While this fragrance does slightly separate, it will reabsorb the scent during the curing stage. Overall, the scent will be great in the soap once it is time to use. Further, the Freesia Fragrance Oil is great for scenting candles. So, we’d like to offer a color suggestion that we believe is perfect for this aroma. Simply add either two drops of purple liquid candle dye or a little bit of a purple color block per every four pounds of wax. This scent is an intoxicatingly fresh fragrance oil created by Natures Garden. It is a well-balanced, green fragrance encompassing a fusion of unique notes; golden bamboo, sparkling bergamot, red grapefruit, night-blooming jasmine, cyclamen, muguet lily, and wild grasses. This fresh, clean scent works well in cold process soaps. While it is a little tricky, you can blend out the minor issues you encounter. Although there is no separation and no discoloration, there is slight acceleration and slight ricing. It is possible to stick blend out the ricing and the bars are totally worth the effort! This fresh floral is absolutely perfect for room scenting. So, using this fragrance oil to create candles is an excellent choice. If you are looking for an idea for coloring, then take a look at our suggestion. For each four pounds of wax used, we recommend 2 drops of liquid candle dye or some of a green color block. After searching almost 10 years for the best rose scent we have accomplished it! Natures Garden’s Fresh Cut Roses Fragrance Oil is a true, fresh-cut rose scent. You will not find a truer fresh cut rose on the market! Obviously, it’s one of our Best Sellers! Great news, this fragrance is a Perfect Pour! This scent has no ricing, no acceleration, no discoloration, and no separation. Plus, the scent after curing is very strong scent retained in the bars! Overall, this is an absolutely perfect floral for soaping, which can be seen in our cp soaping video. Our homemade Rose Lotion Recipe is a lovely idea for the Fresh Cut Roses fragrance oil. It is a light scent that is true to a real rose and is wonderful on the skin. Also, this scent is wonderful for creating fresh, floral candles. We find that a pretty pink suits this aroma very well. So, we choose to add either two drops of red liquid candle dye or a small amount of a red color block per four pounds of wax. This fragrance oil by Natures Garden is a floral blend that is absolutely gorgeous. The Gardenia Fragrance Oil’s scent reminds one of a beautiful bouquet of gardenia and jasmine flowers with a strong orange aroma as a bottom note. This fragrance oil will work very well in cold process soaps. While the soap will discolor very slightly, everything else about this batch is perfect. There is no ricing, no acceleration, and no separation. Plus, the scent remains very strong in the cured final product. See for yourself in our own testing of this scent in cold process soap. This floral fragrance oil by Natures Garden is a fresh ozonic scent that is perfect for the spring time! This aroma is a honeysuckle blend that has some hints of jasmine, rose, and lilac notes. Overall, this scent is a lovely floral fragrance and A Best Seller that is perfect for scenting your products! The Honeysuckle Fragrance Oil is a great scent for creating soaps. The scent is strong and wonderful. Plus, the batch will have no ricing, no discoloration, and no separation. While the fragrance will slightly accelerate the batch, this can be helped by soaping by room temperature. This fragrance oil works wonderfully in melt and pour soap! This layered soap recipe was a breeze to create with such an easy fragrance and smells simply delightful. So, check out our recipe for the Layered Melt and Pour Soap Recipe. This amazing floral blend will work wonderfully in all kinds of homemade candles. If you want to color your candle creation, then check out our suggestion for this aroma. Add either one drop of yellow liquid candle dye or a bit of a yellow color block per four pounds of wax. This Natures Garden scent is oriental and sensual. Our Japanese Cherry Blossom fragrance oil is a well-rounded blend of pink Japanese cherry blossoms and fragrant mimosa flower petals, with base notes of warm vanilla, Tonka bean, and oriental woods. This warm floral is great for scenting cold process soaps! Overall, this batch will be a perfect pour with no ricing, no acceleration, and no separation. While the cured soaps will slightly discolor, the scent will be beautiful and strong. If you want to see for yourself, then check out our cold process soap video that used this fragrance oil. Additionally, this fragrance oil can be used to create beautiful candles. We would you use either one drop of red liquid candle dye or a little bit of a shredded red color block to create a complementing color. However, you can create your candles in any scent you find fitting for the Japanese Cherry Blossom Fragrance Oil. The perfect fragrance oil by Natures Garden for girls who want it all! A combination of wild berries and mandarin, honeysuckle, gardenia and jasmine with the aroma of amber, caramel, sandalwood, vanilla, and praline to add just the right touch of sweetness. Compare Natures Garden’s Juicee Couture fragrance oil to the popular Juicy Couture fragrance. This batch of soap performed fairly well in Natures Garden’s soap testing with no separation and no ricing. While there is some slight acceleration and slight discoloration, it’s not enough to ruin the soap. Plus, you can soap room temperature to reduce the acceleration. This fragrance oil will still produce soaps that have a very strong scent that is floral and lovely. Using this gorgeous floral to scent your candles is a wonderful idea! Juicee Couture Fragrance Oil is a great scent that works well with a bright pink shade of candle. So, add three drops of red liquid candle dye and three drops of purple liquid candle dye per four pounds or wax. Instead, you could use a small amount of red and purple color blocks. This incredibly unique, floral spa fragrance oil by Natures Garden is an aroma that uses notes of gardenia, jasmine, cyclamen, lilac, hyacinth, mimosa flower, rose, muguet lily. This scent is well rounded, complex, and very fresh! When this fragrance oil is soaped at room temperature, it works very well! There will be no ricing, some acceleration, no separation, and no discoloration. Plus, the scent retention is very good for this fragrance oil. 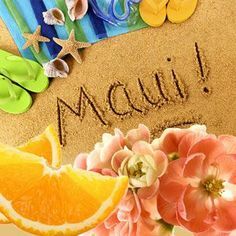 Check out our Soap Testing Kauai Spa Fragrance Oil video! This lovely spa scent is perfect for creating relaxing scented candles. We believe that a light, calming color would work wonderfully with this relaxing floral scent. So, we suggest creating a light green hue in your candles by adding a drop of green liquid candle dye per four pounds of wax. Although, you can simply use a small amount of a green color block instead. This fragrance oil is a perfect, complex and unique, herbal combination created by Natures Garden! Lavender Sage fragrance begins with top notes of French lavender, lime, sage, and fern leaves; followed by middle notes of dill, pepper, moss, and ginger; and well rounded with base notes of pine, musk, and patchouli. Also, this is an NG Original Fragrance! Lavender Sage is a great scent for creating cold process soap. No acceleration, no ricing, no separation, but there is a slight discoloration to a lavender/tan hue. Plus, the scent retention is very strong. Don’t just take our word for this scent’s performance, see for yourself in our testing of this scent in cp soap. We at Natures Garden created a recipe that is perfect for this aroma. This lavender sage bath bomb recipe includes real, whole lavender flowers and rose petals, which adds to the lovely aroma of the Lavender Sage Fragrance Oil. Overall, this recipe is great for a relaxing soak in the tub. The unique scent of Lavender Sage is wonderful for making candles. The scent goes especially well with a very, very light purple shade of candle. So, we suggest using one drop purple liquid candle dye or a small amount of shredded purple color block per 4 pounds of wax. This fragrance oil by Natures Garden is an aroma of a freshly blooming lilac bush that is absolutely true and lovely. Plus, this fragrance oil is A Best Seller for florals! When this floral is soaped at room temperature, it is absolutely perfect for soaping! There will be no acceleration, no separation, and no ricing at this temperature. Plus, the scent is strong. While there is a dark cream discoloration, it is not too dark to add colorant to hide the hue. The Lilac Fragrance Oil is a wonderful choice for room scenting. The Spring Smell Jelly Recipe is a quick and simple way to fill your home with the scent of freshly bloomed lilacs. This true Lilac fragrance oil is a great pick for creating scented candles. This aroma will pair wonderfully with a purple candle, as lilac flowers are this hue. So, use two drops purple plus a tiny bit of red liquid candle dye or a small amount of shredded purple and tiny bit of red color blocks per four pounds of wax. The Lily of the Valley fragrance oil by Natures Garden is a very fresh floral and green muguet de bois. Plus, the scent has a very true to name lily of the valley that is absolutely wonderful. Plus, this floral aroma is one of our A Best Seller scents! As long as you soap at room temperature, this fragrance will be perfect for soaping. While there is still some slight acceleration, there is no ricing, no separation, and no discoloration. Plus, the cured soaps hold a very strong scent that is well worth the effort of this batch! If you love true to life florals, then this is the fragrance oil for you. This fragrance oil by Natures Garden has the aroma of the blooming petals of a magnolia tree. This floral scent will work well in cp soaps. As long as you soap with room temperature ingredients, you will only have slight acceleration. The batch will have no separation, no ricing, and no discoloration. Plus, this fragrance oil leaves an amazing scent in soap! The Magnolia Fragrance Oil is a great choice for a floral scented candle. It’s a true to name scent that pairs well with a candle as pink as the flowers of a blooming magnolia tree. We recommend 1 drop burgundy liquid candle dye or some of a shredded burgundy color block per four pounds of wax. This fragrance oil by Natures Garden is a beautiful duplication of a Yankee candle scent. This aroma will remind you of a beautiful blend of sun-kissed hydrangeas and fresh breezes. The NG Blue Hydrangea Type Fragrance Oil will do alright in cold process soap if you soap at room temperature. While there will still be slight acceleration, there will be no ricing and no separation. The hue will become a cream color after curing, as well. We suggest creating a light, gorgeous blue shade for you candles scented with NG Blue Hydrangea Type Fragrance Oil. To do this, add two drops of blue plus a tiny bit of purple liquid candle dye per four pounds of wax or shred a small amount of a blue and purple color blocks. Natures Garden has fresh lemon peel to create a sparkling accent for the sunny fruit accord that opens the aroma. A rich fruity floral signature balances night blooming jasmine with fresh cassis, while hints of ozone create a shimmering effect. Further, this scent has complex musk tones that intertwine with rare woods and a hint of vanilla as the base notes. This floral fragrance oil is absolutely perfect for creating cold process soaps! There is no ricing, no acceleration, no separation, and no discoloration whatsoever. Plus, this bar has good scent retention. Check out our video that shows you exactly how this scent performs by clicking here. The Fairy Dust Fizzy Bath Recipe is a fun bath recipe that uses combined loveliness of NG Fairy Dust Type Fragrance Oil and Vanilla Powder to create an amazing bath and body recipe. Similarly to a bath bomb, this recipe will be fizzy when it is added to your bath. Also, this fragrance oil makes great candles! We suggest that you use three drops red plus a tiny bit of purple liquid candle dye per four pounds of wax or shred a small amount of red and purple color block into your melted wax. But, you can choose another shade for you candle if you wish. This unique fragrance oil by Natures Garden is a relaxing and tranquil scent that is very memorable. It contains a well-rounded combination of fresh lavender, vanilla beans, with orange zests and patchouli, as well. Plus, this scent is A Best Seller! The NG Vanilla Lavender Type Fragrance Oil is a perfect scent for creating cp soap! It has a perfect pour with absolutely no ricing, no acceleration, no separation. While the final bars will be discolored to a brown hue, the scent remains very strong! Take a look at our cp soap video for this scent! This fragrance oil is a nice, clean scent that is perfect for our Delicate Laundry Soap Recipe! This homemade laundry detergent is delicate enough to keep your clothes safe and has the added bonus of leaving the scent of NG Vanilla Lavender Type Fragrance Oil on your clean clothes! This lovely floral and vanilla combination makes for a nice candle scent. Since it’s a lavender scent, we found it fitting to color the candle with a very light purple. We used a drop of purple liquid candle dye. Instead, you can use a small amount of shredded purple color block per four pounds of wax. The essential oil in Orange Blossom is a very potent, floral scent, with top notes of green citrus. Orange blossom essential oil is used in fine fragrance to give them a robust, sensual aroma. This essential oil is not only unique, it is one of the most expensive essential oils used in perfumery. Plus, our perfumist incorporated sweet, juicy mandarin oranges, muguet lily, fresh greenery notes, and a touch of amber to orange blossom petals to create this beautiful fragrance arrangement. The Orange Blossom Fragrance Oil is a perfect scent to use in your cold process soaps. There is absolutely no acceleration, no ricing, no separation, and no discoloration. Plus, the fragrance is strong after the curing process. Take a look at this scent in our cp soap video! Have you ever smelled the aroma of a true peony scent? This fragrance oil by Natures Garden is a romantic, powdery, floral that inspired by these lovely blooms. Plus, this is by far one the finest florals we have ever smelled. Obviously, this scent has become A Best Seller of ours! This fragrance oil works amazingly in cold process soap recipes! There is no ricing, no acceleration, and no separation. While the soap discolors to a tan, the scent remains nice and strong. Check it out for yourself at our Peony Fragrance Oil soaping video! Next, create some super cute candles with this pretty floral fragrance oil. Just take your recipe and add three drops of red plus a tiny bit of purple liquid candle dye or a small amount of shredded red & purple color block per four pounds of wax. This aroma is a sensual medley of delicate orchid blossoms wrapped in soft, comforting amber create a beautiful summer bouquet. This scent is wonderful to work with in cp soap recipes! There is no ricing, no acceleration, and no separation. The discoloration goes to a yellow and the scent remains strong and true. So, take a look at how this fragrance oil performs in our soap testing video! Also, the Pink Orchid & Amber Fragrance Oil is great for creating scented candles. We suggest that you use a drop of red plus a small amount of purple liquid candle dye per four pounds of wax or shred an ample amount of a red and purple color block into your melted wax. This flirtatious fragrance oil by Natures Garden is perfect for women, who enjoy adventure and excitement. The whimsical combination of water lily, lady apple, mandarin meringue, golden apricot skin, ripe pink guava, Tahitian flower, wild tuberose, dark chocolate, pink frosting accord, precious amber, forbidden woods, royal musk, and chiffon vanilla. Princess Type Fragrance Oil is a fragrance that is absolutely perfect for making cold process soap. Not only is this scent a perfect pour, but there’s no ricing, no acceleration, and no separation. The soap discolors to a light beige and the scent is good after curing. Check out the cold process soap video where we include this fragrance oil! This fragrance oil by Natures Garden is bursting with colors. This very unique fragrance begins with top notes of pear, green grapes, kiwi, raspberry, and peach; followed by middle notes of jasmine and lily of the valley; and is well rounded with a base note of white musk. This scent in a batch of cp soap has no acceleration, no separation, slight ricing that stick blends out, and no discoloration. Also, the soap has a strong scent retention. Check out how this scent works in our Rainbow Fragrance Oil Video. T ry out this lovely aroma in our Rainbow Candle Recipe! Not only will this candle work as a great room scent, but it is a super cute rainbow candle. Although the layers may make this recipe seem complex, its easy then you may think! We suggest using two drops of blue liquid candle dye or a small amount of shredded blue color block per four pounds of wax to compliment this bright fragrance oil. This bright aroma by Natures Garden is classified as a refined, water fragrance. This feminine scent possesses a blend of fruity and fresh florals that create the perfect fragrance oil. This feminine scent is perfect for creating cp soaps. No acceleration, no ricing, no separation, no discoloration. The scent is very nice and strong! Take a look at how this scent performs by watching out a cp soap video. The Potted Sunflower Soap Recipe is a simple and fun project that uses a fantastic fragrance oil. Not only are these soaps shaped like adorable sunflowers, but they are scented with a bright fruit and floral blend that is just right for this recipe! For the perfect candle, we suggest using six drops of the yellow liquid candle dye or a small amount of shredded yellow color block per 4 pounds of wax. The Sweet Pea fragrance oil by Natures Garden is a Yankee duplication. It is an English garden reminiscent of hyacinth, lily of the valley, violets and wild jasmine with a background of light herbal and musky notes. Also, this scent is A Best Seller! While there is slight acceleration, soaping at room temperature will reduce this issue, Plus, there is no ricing, no separation, and no discoloration for this scent. Also, there is a good scent retention. Now, take a look at how this fragrance works in our cp soap testing video. Our Easter Confetti Soap Recipe is a creative soap recipe that uses the lovely Sweet Pea fragrance oil. This recipe is simply multicolored, melt and pour soaps that are cut and sprinkled into a larger melt and pour soap, but it is so fun! We have found that a pink colored candle pairs very nicely with this fragrance oil. So, add three drops of your red liquid candle dye or a small amount of shredded red color block per four pounds of wax. This floral fragrance oil by Natures Garden is the aroma of fresh cut roses with base notes of white musk and amber to create a perfect rose scent. Soap that uses this rose fragrance oil will work fairly well. While there is slight acceleration, it is not unmanageable at room temperature. Also, there is no ricing, no separation, no discoloration. Plus, there is a very strong scent retention. Take a look at the performance on our soaping video. The Rose Milk Bath Recipe beautifully incorporates the Victorian Rose Fragrance Oil with a great bath recipe created by Natures Garden. We’d recommend using two 2 drops of red liquid candle dye or a small bit of shredded red color block per four pounds of wax that you use. This fragrance oil by Natures Garden is absolutely the most amazing violet scent we have ever smelled. Most violet scents are pretty weak, but this one is true to name and very strong. So, hands down the best violet fragrance! This scent is a bit tricky in soap, but the strong violet scent that is retained in the soaps is worth the effort. The fragrance accelerates trace, so you will need to soap at room temperature. There is no ricing, separation that reabsorbs, and a light lavender discoloration. So, check out the Violet Fragrance Oil Soap Testing Video. We suggest that you use three drops purple liquid candle dye or a small amount of shredded purple color block per four pounds of wax used. This will provide you with the perfect purple candle for this violet aroma. It has been reported that Kate Middleton wore a fragrance named White Gardenia when she married Prince William. Therefore, we worked very hard to create a scent that would represent this royal aroma. The Natures Garden scent begins with top notes of citrus, lily of the valley, and aldehydes, followed by middle notes of white gardenia, jasmine, and muguet; sitting on a subtle note of amber woods. The White Gardenia Fragrance Oil performs perfectly in cold process soap. There is no acceleration, no ricing, no separation, and no discoloration. Also, there is very strong scent retention! Check out this amazing performance on out cp soap testing video. This fragrance oil by Natures Garden is a Yankee dupe type of fragrance. It is a light floral blend with subtle hints of jasmine, lily of the valley, lavender, and rose, along with a touch of clove that creates the perfect aroma. Cold process soap that includes Wisteria Fragrance Oil works fairly well. There is a slight acceleration, no ricing, no separation, and no discoloration. Plus, there is a very strong scent retention. Check this out on our cp soap scent testing video. We suggest that you use two drops purple liquid candle dye or a small amount of shredded purple color block per four pounds of wax to create a nice color for your fragrance oil. If your favorite floral is not on this list, don’t despair. It was likely once of our runners up, so feel free to share the florals that you like best on our social media. You can either post on the Natures Garden Facebook wall or tag us on Instagram, @ngscents, with a picture of your personal best florals! This entry was posted in candle fragrance oils, candle making supplies, Fragrance Oils, Natures Garden, Natures Garden Fragrance Oils, wholesale fragrance oils and tagged air freshener fragrance oils, air freshener scents, aroma bead fragrance oils, aroma bead scents, bakery scent, bakery scented smelly jelly jars, best seller, best selling fragrance oils, best selling pie scent, body safe scent, burgundy candle dye, burgundy liquid candle colorant, burgundy liquid soap colorant, burgundy liquid soap dye, candle making supplies, candle scents, cold process soaps, cp soap scent, cp soaps, delicious scent, dessert scent, fragrance oil, fragrance oil spotlight, fragrance oils, fragrance oils for soap, fragrance oils to scent candles, fragrances for candles, good cp soap scent, good scent in soap, handmade candles, handmade cosmetics, handmade soap, homemade air freshener fragrances, homemade candle ingredients, homemade candles, homemade cosmetics, homemade soap, homemade soap making ingredients, how to make scented candles, make scented bath bombs, make scented candles, make scented cosmetics, make scented soap, natures garden, NG original, NG original fragrance, NG original scent, no acceleration, pie aroma, pie bath bomb, pie fragrance oils, pie scent, pie scented candle, pie scented candles, pie scented soaps, pie scents, purple candle dye, purple liquid candle colorant, purple liquid soap colorant, purple soap colorant, purple soap dye, rich scent, scented aroma beads, scents for candles, scents for soap, scents of the south, smelly jelly crystals, soap making supplies, southern aroma, southern candles, southern home aroma, Southern Home Fragrance, Southern Home Fragrance Oil, southern home scent, southern scent, southern scents candles, wholesale candle supplies, wholesale candle waxes, wholesale fragrance oils on September 21, 2016 by Deborah Ward. Southern Home Fragrance Oil is a delicious pie scent by Natures Garden. This aroma is a tasty blend of a buttery crust scent and sweet berry and fruit filling scents that smell akin to a fresh homemade southern pie. This pie fragrance oil is a delicious and best selling scent that is perfect for creating all kinds of different kind of homemade products and creations. What Does Southern Home Fragrance Oil Smell Like? This fragrance oil by Natures Garden is a rich combination of blackberries and currents, with undertones of cinnamon and orange zests, in a warm southern baked crust. A Best Seller! An NG Original Fragrance! How Do Our Customers Use Southern Home Fragrance Oil in Bath and Body Products? Homemade bath and body products can be created by our customers with this delicious fragrance oil. Bath oils, bath gels, soaps, lotions, perfumes, bath bombs, and other related bath and body products at a fragrance oil concentration of 5%. If you wish to color any of your bath and body products, then we would suggest for you to use burgundy and purple soap colorants in your preferred amounts. Just remember not to use any candle dyes in any of your body products. Not only can melt and pour soap creations be made, but soaps can also be made from scratch. Our Cold Process Soap Testing Results revealed that this fragrance oil will perform well. A batch that uses this scent has no ricing, no separation, and no acceleration. The cured soap will have a dark brown discoloration. The bars will have a good scent retained. Due to the vanillin content of 5%, adding Vanilla White Color Stabilizer may prevent some of the discoloration. However, there are more than forty ingredients used in fragrance manufacturing that may contribute to discoloration of products. How Do Our Customers Use Southern Home Fragrance Oil in Room Scenting Products? Our customers can create all kinds of room scenting products with this delicious dessert fragrance oil. Potpourri and incense can each be scented with a maximum of 50% for this fragrance oil. Any sort of homemade cleaning products can be created with up to 5% of this pie scent. Aroma bead products and smelly jelly crystals will retain a nice and strong scent when this fragrance oil is used. Additionally, this fragrance oil can be used to scent all kinds of wax based room scenting products. Homemade candles, wax tarts, and other products can include this scent up to 10% of this fragrance oil. Joy Wax, WOW Wax, and soy wax will each perform perfectly with Southern Home Fragrance Oil. For those who want to add a colorant, but haven’t decided on a shade we have a suggestion. Use four drops of burgundy with four drops of purple liquid candle dye. When using color blocks, use a small amount of shredded burgundy and purple. As always, just remember not to use any crayons in the candle products or you will clog your wick. This entry was posted in bath and body, candle fragrance oils, cold process soap, Natures Garden Fragrance Oils, Soap making supplies, wholesale fragrance oils and tagged aroma beads, bath and body products, best floral fragrance oil, best rated fragrance oil, body safe fragrance oil, bulk fragrance oils, buy wholesale candle wax, buy wholesale fragrance oils, candle fragrance oil, candle making, candle making ingredients, candle making suppliers, candle making supplies, candle scents, candlemaking supplies, cold process soap, cold process soap videos, cosmetic making ingredients, cp soap, Crafts, diy, floral fragrance oil, floral fragrances, floral scents, floral scents that don't accelerate in soap, fragrance, fragrance oil, fragrance oils, fragrance oils for candles, fragrance oils for soaps, fragrance oils spotlight, gardenia fragrance oils, gardenia scents, gel wax compatible fragrance oils, handmade candles, handmade cosmetics, handmade soap, homemade, homemade candles, homemade cosmetics, homemade soap, house smell good, how to make floral scented candles, how to make floral scented soap, how to make gardenia scented candles, how to make gardenia scented soap, how to make soap, how to make white gardenia scented candles, how to make white gardenia scented soap, make gardenia candles, make gardenia cosmetics, make gardenia soap, melt and pour soap, natures garden, natures garden candle supplies, room scenting products, scents for candles, scents for gel wax, scents for soap, soap fragrance oils, soap making, soap making ingredients, soap making suppliers, soap making supplies, soap scents, soapmaking, soapmaking supplies, soaps that don't accelerate in cp soap, strong floral scents, Top rated fragrance oil, white gardenia, white gardenia aroma, white gardenia fragrance, white gardenia fragrance for candles, white gardenia fragrance for soap, white gardenia fragrance oil, white gardenia scented candles, white gardenia scented oil, white gardenia scented soap, wholesale candle making supplies, wholesale candles, wholesale candles scents, wholesale cosmetics, wholesale craft supplies, wholesale fragrance oils, wholesale room scenting products, wholesale soap, wholesale soap scents on August 15, 2016 by Deborah Ward. Try White Gardenia Fragrance Oil today! What Does White Gardenia Fragrance Oil Smell Like? White Gardenia Fragrance Oil from Nature’s Garden is an opulent, luxurious floral fragrance that was designed to appeal to the likes of royalty! Top notes of citrus, lily of the valley, and aldehydes begin this bright scent. Middle notes of white gardenia, jasmine, and muguet rest on subtle notes of amber woods to create a warm floral base like no other! How Do Our Customers Use White Gardenia Fragrance Oil in Bath and Body Products? Indulge in a touch of luxury by creating bath and body products with White Gardenia Fragrance Oil. Bath bombs, gels, and oils perform nicely when the maximum recommendation of 5% fragrance oil is added. White Gardenia Fragrance Oil from Nature’s Garden can be used to create a bouquet of refreshing products! Handmade perfumes perform well with this fragrance when a maximum of 5% fragrance oil is used. Homemade lotions can be created using White Gardenia Fragrance Oil. We recommend lotion recipes use no more than 5% fragrance oil. Homemade cleaning recipes can also be created using a maximum of 5%. Soap crafters can use 5% fragrance oil in hot process soap, melt and pour soap, or cold process soap recipes. Our cold process soap testing video shows that this fragrance oil behaves nicely! There was no acceleration, no ricing, and no separation. Cured soap did not discolor and maintained a very strong scent retention. We do not recommend a colorant for your bath and body products when using this fragrance. However, if you wish to color your soap, we recommend using liquid soap dye in the amount that satisfies you. Remember not to use candle dye in any of your bath and body products as they are not body safe. How Do Our Customers Use White Gardenia Fragrance Oil in Room Scenting Products? White Gardenia Fragrance Oil creates a blossoming scent for any space. Those creating homemade air fresheners can incorporate up to 50% of White Gardenia Fragrance Oil in their projects. You can use this floral fragrance oil in incense and smelly jelly recipes. This fragrance oil was also found to create strongly scented aroma beads. Candles and wax tarts can be made using up to 10% fragrance with vegetable and paraffin waxes. It does nicely in Joy Wax, Wow Wax, and even Pillar of Bliss. Additionally, customers can use this strong floral scent in gel wax candles. We do not recommend a colorant for your wax products when using this fragrance. However, if you do wish to color your candles or tarts, you may use a small amount of Spectrum Liquid Candle Dye or shredded color blocks. Do not use crayons to color your candles as they will clog your wick.